Here are a few things to keep in mind and some things you might want to tweak. Today’s online world has you selling your privacy and personal info for access to cool apps and access to places and Windows 10 is no different. When you install there is an advertising ID that gets assigned to the email address Microsoft has on file. This has actually been around since before 10. This ID allows ads to be tailored to you during your web browsing and across your application experience from the App store. It has been there since Windows 8.1 and it was used to provide advertising across apps based on your account activity even then. This is really no different than the targeted ads you already see using Google or even Facebook. If this is creeping you out you can turn it off. From the “Start” button click “settings” and then click “Privacy” and then the “General” tab on the left. Here you can toggle the “Privacy” options on and off. Have fun playing with your new Operating System and don’t be afraid to tweak it to how you want it. As always if you have questions we are just a phone call away. WHAT IS THIS WINDOWS 10 THING POPPING UP? Windows 10 is the next operating system from Microsoft and that pop up is telling you that they are going to let you have it for “Free”. 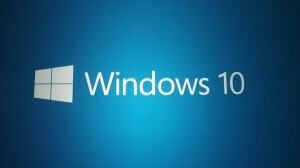 Here is some info on Windows 10. Windows 10 is sort of a marriage between Windows 7 and Windows 8.1. Most people will be happy that the Start Menu is back and it returns with additional features for a new look and functionality. You now have your list back with customizable tiles expanded to the side. You now have Cortana (the personal assistant) down in the taskbar ready to search for you. If you have a Windows phone you will already be familiar with Cortana. She can search the PC for files, apps, anything really and the web as well. You can either type or use voice commands to launch apps, schedule appointments as well as dictate emails and send them. The number of commands that she can perform and interact on are numerous and some keyboards will even feature a Cortana key. Windows 10 comes with a new browser Microsoft Edge which will also be Cortana enabled to allow you to interact with the webpage. Edge claims to let you search faster from the address bar and will keep your favorites, downloads and history in a central location known as the “Hub”. You will have the ability to write on webpages if you have a touchscreen or take notes by typing – clip that page and you can then share that page with others via email, OneNote or social media. In Windows 10 you can snap up to four apps in place on one desktop and create virtual desktops when you need to open more things and group them together. For gamers Xbox will be part of Windows 10. You can message and interact with your friends online and can stream your console onto your desktop. Continuum is a feature that will scale your desktop between tablet and desktop mode for two-in-one convertible devices such as the Surface Pro 3. Settings are now no longer scattered throughout the OS as in Windows 8 but in one place, logically organized. There are many other smaller changes that are too detailed for this document. Microsoft is offering Windows 10 for free to existing customers with certain editions and “legal” copies of Windows 7 with Service Pack 1 and Windows 8.1. Windows 10 does not officially get released until the end of July but people are getting a notice that they can reserve their free copy now. If you have installed a certain patch during patch Tuesday (patch KB 3035583 also being referred to as the nagware patch) you will get a notification that a free upgrade awaits you. This will be a small white Windows logo in your bottom right notification area of the taskbar. To take advantage of the free offer you must perform the upgrade within the first one year of availability. If you decide to reserve a copy you can cancel your reservation at any time. This upgrade is a 3GB download and you must be connected to the internet and have Windows updates turned on. The device must meet the following hardware and OS specifications in order to install. Windows 7 Enterprise, Windows 8/8.1 Enterprise, and Windows RT/RT 8.1 as well as volume licensing customers are not included in this offering. If you are using any upgradable version of Windows that is a Media Center Edition it will be removed. The Get Windows 10 app will have a “Check my PC” component that will make sure you have the hardware required as outlined above. However here are some other things to watch out for and think about. During the upgrade Windows will check to see if your Anti-virus/Anti-malware subscription is still current. If all is good Windows will uninstall the application but keep your settings. Once the upgrade is complete, the latest version will be installed using those settings that it kept. If your Anti-virus/Anti-malware subscription is not current you will be supplied with Windows Defender. Some applications and their settings may not migrate over during the upgrade and some may be removed completely. The “get Windows 10” app will scan for compatibility and will present you with a list of applications that do not play nicely. You will be asked to accept that they will be removed before the upgrade. The ability to watch DVDs natively is gone it will now require separate playback software. 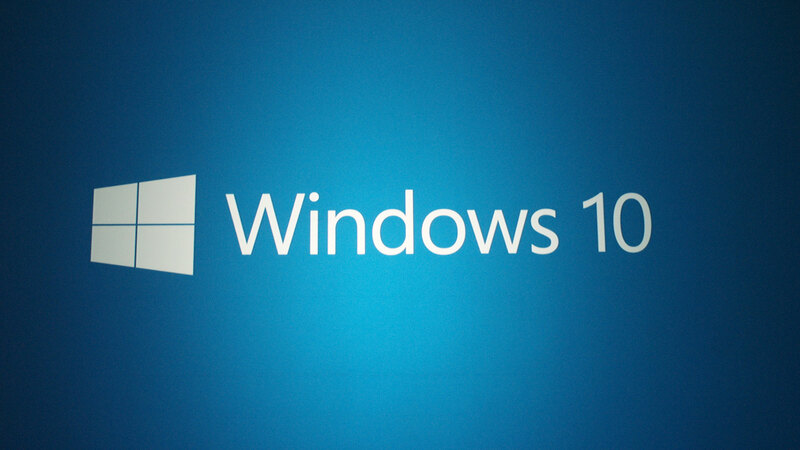 Windows 10 will remove the Windows 7 Desktop Gadgets. If you use Windows Live Essentials, the OneDrive application will be removed and replaced with the inbox version of OneDrive. The question now becomes do I upgrade? The answer is I really don’t know. It is totally personal preference. I do know that I have been playing with the technical releases and I like it. That being said I am playing with it- not using it- on a production PC. First releases are not always (more like never) 100% ready. You have a year to take advantage of the offer and so there really is no rush. If you have an older PC or laptop doing nothing and you want me to help you put the Windows 10 preview on it so you can play around I will be happy to do so. If you are thinking that you absolutely must have “Windows 10 the upgrade” then I will suggest you make a full backup of your data and make sure you have your discs to do a restore back to your current OS in case you have issues or decide you hate it. I will be happy to help you with that as well. Windows 7 SP 1 is still supported for the next four years so you do not HAVE to upgrade. Most of you know my mantra that in four or five years you need new hardware anyway so at that time you would be buying a new PC with Windows 10 already loaded. You can always say yes to “Get Windows 10” and register for the free upgrade and then put it off till a later time. Then use that time to research, talk to others who are using it or to me. I will also be putting out more information as we go along. As always I am just a phone call, text or email away. The Internet is full of potential security threats that your computer is open to every time you are connected. That’s where firewall protection comes in. Acting as a barrier between your information and the outside world, a firewall stops attacks before they can compromise important data. Whether you’re an individual shopping online with a credit card or a business owner with customer profiles stored digitally, there’s sensitive information on your computer that you don’t want the outside world to have access too. A firewall acts like an extra “lock” on the “door” of your Internet connection. You can connect out, but those on the outside can’t see in without your express permission. 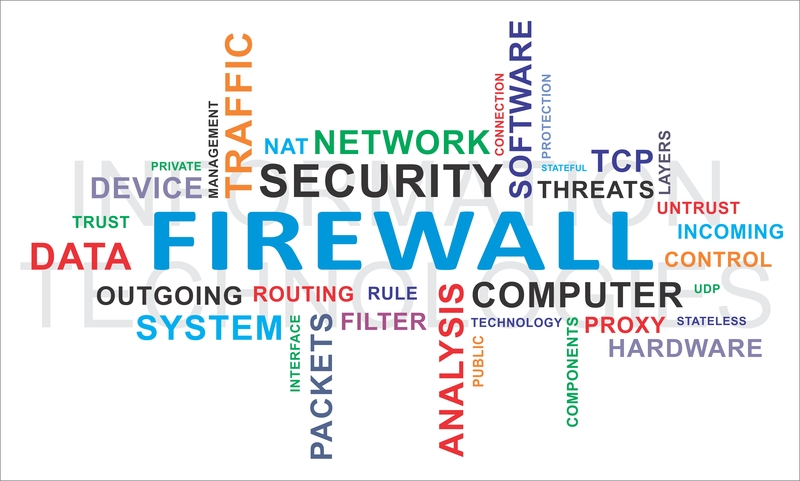 A good firewall should monitor both incoming and outgoing traffic to give you the best protection possible against common threats such as man-in-the-middle attacks, malware, viruses, keystroke monitoring and password stealing. Watching only incoming data may catch a threat coming from the Internet, but outgoing information can still be prone to hacking if it isn’t monitored. A hardware firewall is either a standalone unit or included as part of a broadband router. These firewalls work by checking incoming data packets to see if they’re trustworthy. It looks at where the packet came from and where it’s going, aiming to detect malicious behavior and block it before it reaches your PC. In effect, this serves to shield computers behind the firewall from the outside world. Businesses with multiple systems benefit from the “umbrella” coverage of a hardware firewall, especially those that want to hide one department’s information from reaching another part of the company. On the downside, configuration and updating is complex due to the specialized nature of these custom systems. Hardware firewalls only protect machines that are onsite and can be expensive to install. 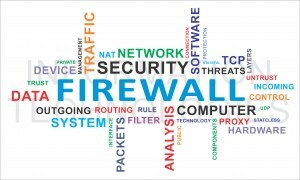 For individuals and small businesses, software firewalls may be a more economical choice. Installed on specific devices or servers, these firewalls work whether you’re at home, in the office or on the road. Whether you do a lot of traveling or your business has many employees working in the field, a software firewall protects you information in every location. With a software firewall, updates are automatically detected, downloaded and installed to keep the program up on all the latest potential threats so it can recognize them and warn you before any damage is done. Customization options allow you to create sets of rules as to which connections and sources are to be trusted and which should be blocked. This way, you can set up your firewall to allow only the applications you use on a regular basis and block out malicious activity from everything else. Remember that having a firewall doesn’t give you a license to be careless. You still need antivirus software and other protection to guard against the wide range of potential threats found on the Internet. This kind of comprehensive coverage protects sensitive information to give you peace of mind as you work. Black Friday (the day after Thanksgiving) is one of the biggest shopping days of the year. While the crowds may deter some from going to the mall, it does not mean missing out on great sales. The following Monday, now referred to as Cyber Monday, is the day when many online retailers hold their biggest sales of the year. While shopping online is easier on the nerves, it also has its issues. 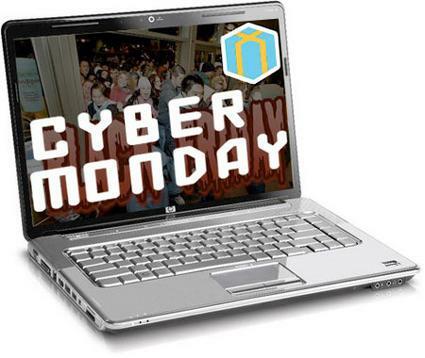 Cyber Monday is also the day the day when cyber-crimes increase. The vast amounts of virtual money that get transferred during this time period makes this day attractive. To decrease the likelihood of becoming a victim there are few precautions you can take. Many scammers try to bail people with the promise of unbeatable deals. The email will contain a link that will take you to a different sales page. If the e-mail looks like it’s from an unreliable source, do not click on it. Instead, go to the retailer’s website directly. When you shop online, make sure you are using the latest version of your web browser. The newer versions of this software tend to have improved methods to prevent spyware, phishing and adware. Being protected from viruses is one of the best ways to prevent fraud. A malicious web site will closely resemble a legitimate one. However, if you look closely there may be tell-tale signs that the site is not real. There may be misspelled words or the website ends with .net instead of .com. To protect your personal information, make sure the web site has HTTPS in the address bar. These designations ensure that your information is encrypted as it is transmitted. It is important that you do all of your online shopping from a secured network that requires a password to use. Resist the urge to purchase any over a free, wireless network. These networks are often unsecure and leave your personal information vulnerable to theft. Do not give out too much information on a web site. The only information that is necessary for placing an order online is an address, phone number, e-mail address and payment information. If a web site requires more information than that, you should probably avoid using it. Nearly a billion dollars is transacted on Cyber Monday. While retailers enjoy this activity, so do criminals. Following these tips will help you prevent becoming a victim of a cyber-crime. When Microsoft announced a free upgrade from windows 8 to windows 8.1, many wondered just what the actual changes were. 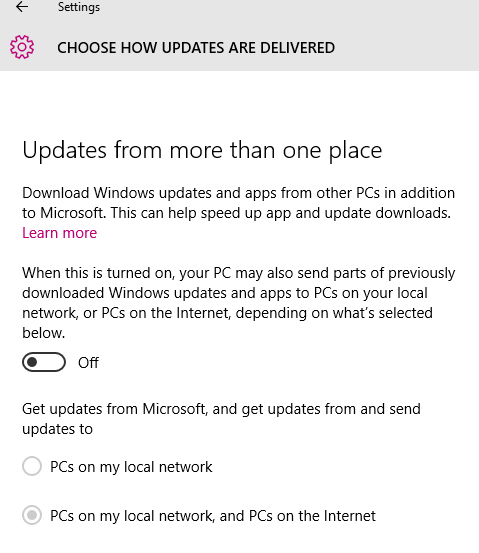 As such, here’s a brief guide that highlights the changes from windows 8 to windows 8.1 on the computer and an overview of some of the cool new stuff for windows phone. One of the primary faults that many users had with windows 8.0 was the lack of a start button and menu on the taskbar. Thankfully, the taskbar has been upgraded to include a start button, as well as the ability to place any app that you want to the taskbar. This taskbar will also be present at all times at the bottom of the start screen. Another new and welcome addition is the fact that users can now go straight to desktop once signing in instead of the start screen, though this can be switched back in settings options if you prefer the other method. Also, instead of having to scroll over to a sidebar that would display the start, search and settings options, the power and search buttons are now displayed directly on the start screen, which can be found beside your username at the top-right hand corner of the page. Search is now much friendlier and will now display apps that match your search term as well. You might also like to know that the start screen includes a new notification on the bottom-left hand corner underneath your apps that reminds you about the latest apps you’ve installed. The Mouse and Keyboard are easier to use within all screens so if you did not spend the extra for a touch screen you are not totally lost. Full screen apps now have the familiar close button and come with a menu bar so navigating with the mouse is simple. Your live tiles on the start menu can now be right-clicked for options to change their size, location on the taskbar or start menu and can even be turned off or uninstalled. 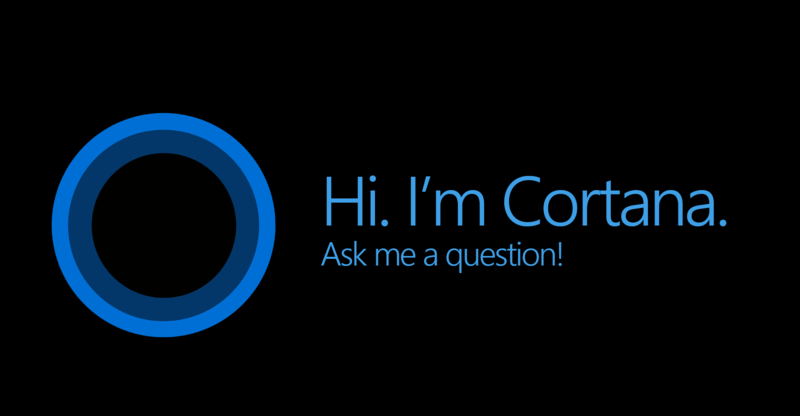 One of the biggest and most hyped new features in 8.1 is the personal assistant known as Cortana. Similar to Siri with iPhone or Androids, Google Now but powered by Bing and she will learn the things you like the most. She can set reminders, answers questions on weather, traffic and sports scores, help you make calls and send texts and even auto respond to people when you don’t want to be disturbed. 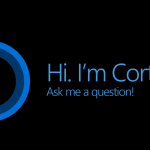 Cortana uses a storage area called Notebook to keep information about what you like and what you ask her to do. You can find the Notebook by pressing Search and then tapping the horizontal bars in the upper-right corner of the screen. You can help Cortana learn about you quickly by editing the areas within her Notebook. You can still personalize your start screen with live tiles just like your Windows 8.1 PC which puts your most used and important apps right where you want them. The size of the tiles are still changeable and new to 8.1 is the ability to group your tiles into folders and the ability to show more tiles as well. To turn on the Show more Tiles feature just look under settings, Start + Theme and slide the slider bar over to the right. This gives you three columns of tiles vs the standard two. To create folders on the start screen for your apps you need to tap and hold a tile and then push that tile on top of another until the folder appears in the foreground you can then name the folder and repeat the hold and push for other apps into that folder. The customization for the cameras software has really been changed. You can now take a picture in Burst mode- this takes multiple images for one picture and then pick the one you like best. Any picture you don’t save from the burst group are automatically deleted after seven days. That default period is customizable as well. You now have customizable viewfinder settings one of which is Lenses. The Bing lens allows you to scan QR codes, the Office Lens (which you might have to download) allows you to scan photos, whiteboards and documents. The Office lens has been updated in 8.1 to have improved document scanning and allows you to choose where you want to save your scans. There are many more lenses available to play with including Vine for twitter. Want to take pictures in stealth mode without the shutter sound? You can now silence that click for such occasions. One of the most common questions I get asked by clients is if they should upgrade to Windows 8. I always answer that question with a few questions of my own. First are you running XP or Windows 7? If it is Windows 7 you are fine where you are for now, if it is XP then you need to upgrade to something. Support for Windows XP is over as of April 8, 2014 http://windows.microsoft.com/en-us/windows/end-support-help. Second question, are you buying a new PC as part of your upgrade? This question is very important as Windows 8 has a learning curve and it becomes a much shorter learning curve and a more enjoyable experience if you are going to buy a new PC with a touchscreen. Designers of the Windows 8 operating system want you touching and pinching your computer screen, starting software applications and games with a tap of a finger that bypasses the keyboard. The reason behind this deliberate move is likely due to your natural inclination to interact with objects and because technology in general is headed in this direction. Think of your smartphone or tablet devices, they are already touch enabled. Once you have headed down the touch interaction road you find it far more intuitive to touch a picture of a button rather than to guide a mouse pointer to the same image. 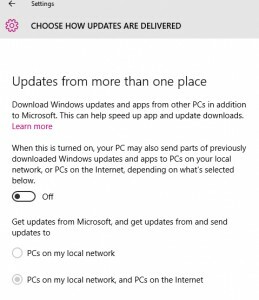 Windows 8’s new user interface appears soon after your computer boots. Its clear designers intended this Start screen for the mobile market where touchscreens thrive, each competing for attention in a crowded sector that seems to pitch new smartphones and tablets every other week. Once loaded, the new Start interface pops on to the screen as an animated, dynamic set of tiles that replace the classic Start menu once located on the bottom-left corner of the Windows taskbar. These rows of animated tiles are meant to be touched. They’re large and wide, perfectly proportioned for large or small fingers, they can be customized, resized and placed anywhere on the screen. Microsoft includes mouse support for clicking your way across the new Start menu, but it feels unnatural, again you will like this OS much better on a touchscreen computer. The desktop is reached by touching or clicking on the Desktop tile, and it looks as familiar as ever but your familiar navigation tools are gone. The Start icon in the lower left is absent and so your list of all programs is no longer there. The Windows logo that sits in its place will take you right back to the tiled Start screen. There are some third party applications you can install that will mimic the look and feel of the older Windows Operating Systems but if you spend some time with Windows 8 I think you will soon like it. The touchscreen Start interface does have some interesting features that you will come to like. The ability to swipe back and forth between screens that have applications running and to move tiles around with a simple finger stroke is very “future is now” feeling. For those of you that have already embraced mobile devices there are plenty of third-party Apps that can be downloaded and installed from the Windows Store. These Apps include handy utilities, entertainment programs, games, and productivity software that are every bit as useful as those found in Android and iOS devices. So again my recommendation if you are going to upgrade is to spend the extra and go with the touchscreen you won’t regret it. Should Employers Tell Employees to BYOD? More companies are embracing the BYOD, or “bring your own device,” trend to cut costs while increasing productivity. Now that mobile devices are as powerful as fully functional computers and everybody has one, why not forgo company computers and allow employees to access databases from their own device? While BYOD is likely the wave of the future, employers and employees need to understand the possible challenges of letting anyone access sensitive company data from anywhere at any time. Before allowing employees such privileges, businesses should craft a thorough BYOD policy that takes into account all the possible benefits and risks. Increased productivity: Since employees already know how to use their own devices, they can work faster and more efficiently. The ability to access company data from a mobile device also makes working from home or on the go much easier. Better technology: Employees are usually quicker to upgrade their own hardware and software than their employers, which means workers can have access to more advanced tools without the headache of implementing company-wide updates. Employee satisfaction: Employees like working with their own devices for various reasons including circumventing the need for separate personal and work computers. Potentially lower costs: Companies that let their employees use their own devices for work do not have to furnish work laptops; however, there are other technical costs to consider. Well here it is Monday and I feel I must vent. Something has been stuck in my head all weekend. I like to observe situations — yes people watch. I am noticing some strange habits. While I spend most of my day online and being socially connected — most of the world is working and only socially connecting part of the time. So when it’s off time ( well for most people) to stop and spend time with family — those people who worked all day and did not get their social on now wanna do that.. .that’s all they want to do. BLECK. Seriously. I love social media, but seriously I am done at a certain time and especially on the weekend. I must admit I am more about Twitter and I shy away a little from FB. I use FB to spread the word — to raise awareness not to connect with those people I went to school with and left in my past. I believe that it is my job to spread the word and meet people that have the same passions as myself — like my twitter. I enjoy meeting people online who have the same interests, passions and goals that I do … no to relieve the past. While I understand my past is important, it is what it is .. the past. I have met some AMAZING people on FB and Twitter that have helped me through some difficult times with my health and share the same passion I have for the 4 legged creatures. I just don’t want to relive my past … I don’t want to say remember when… I don’t want to say … back in the day. I want to connect now, enjoy today.. maybe fall a little tomorrow. See all the great pictures and videos from the folk on FB that make me smile and let me be me. Not me from 20 years ago. I am not the same person.. nor are you. I like the now and I am ready for tomorrow… I enjoy the new friends I have met on Twitter and FB.. but is is not my life and at some points I must disconnect and be with my now… my family and friends — in person. So..enjoy your family, friends and your pets .. put down the device.. step away from FB/Twitter and reconnect on a human level… face to face (and not on the computer with facetime). So many times we get lost in the ease of using our gadgets to reach out to people. This day and age it is all to easy to shoot off an email, text or a some internet based communication. Well that is all well and find, but how about you combine both — take some of those amazing pictures that you shoot on your smart phone and create a notecards and set down at a desk and pick up a pen (you remember what that is right?). 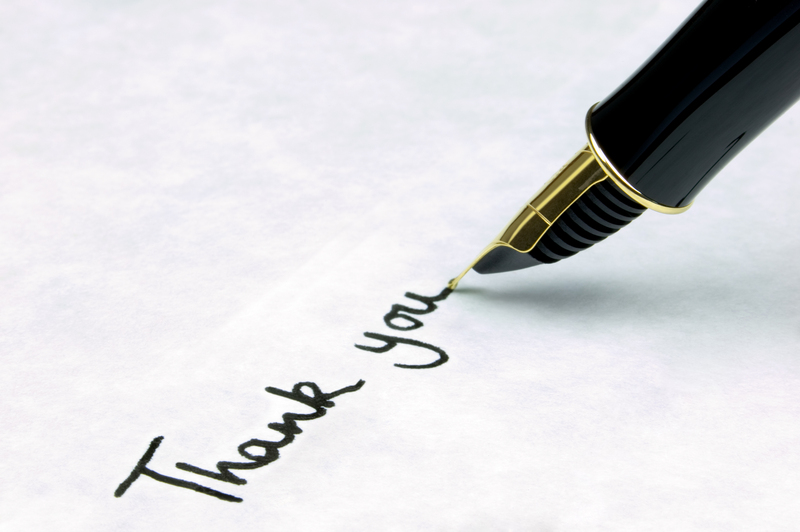 I believe if you take the time to write a personal note it will go a long way and it gives the recipient the feeling that you actually care and that you actually mean what you say. I know .. its extra steps — it costs money and it takes time. Well you know what — most people are worth the time and effort. And if you make the card from one of your personal pictures .. man does that make an impression. Recently I took the time and had note card made up from some of my favorite pictures and when I need to say Thank you or whatever, I take one of those cards and I write down my feelings. And you know what — I feel so much better that that person knows I really care because I took the time to site down, pick up a pen and tell them how I feel on paper and not an impersonal email or text. Try it. Shutterfly has some great options and its worth it especially to those people you care about. Now.. go pick up a pen.